Half of one of the most exiting winemaking duos on South Africa, Andrea developed her passion for wine at the family dinner table in San Francisco. After studying viticulture and oenology at UC Davis, and completing a handful of harvests in the Napa Valley, she started out in Stellenbosch, then moved to Châteauneuf. During her time in France she met her partner in wine, Chris Mullineux, at a festival in Champagne. The pair moved back to South Africa and settled at Roundstone Farm in the Swartland. They launched Mullineux & Leeu Family Wines in 2007 with the aim making wines that are honest reflections of their terroir. The estate bottles its wines based on soil type – granite, schist, iron and quartz. 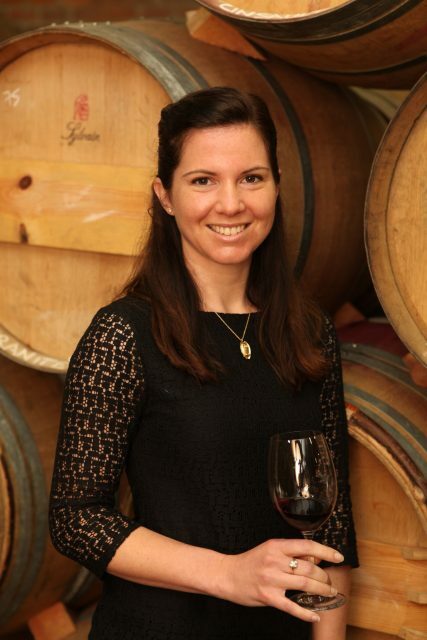 In 2014 Andrea joined the Cape Winemakers Guild and in 2016 she was named International Winemaker of the Year by Wine Enthusiast. And if that wasn’t enough she also makes wines in California under the Fog Monster brand.